Social media isn’t just a tool for employers screening prospective workers anymore. Watch out for an FBI app designed for social media scraping. Social media can work as an early warning system for potential threats, criminal activity, or other risks. As of April 2013, the social media companies are still lobbying against this endeavor by the FBI. The companies who are listed among those actively resisting include Google, Facebook, and Yahoo. 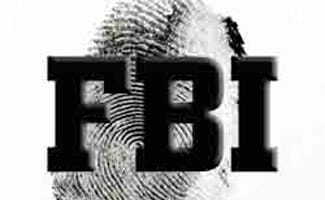 According to sources, the FBI has been looking in to hiring a contracting company to put together an application to scrape social media sites for signs of domestic and global threats. While some indicate that the application could allow for early warning against threats to our country, others are quick to point out that such an endeavor could implicate trouble for freedom of speech. The request by the FBI for the scraping application was posted on the FBI’s Strategic Information and Operations Center website on January 19, 2012, when it caught the attention of a number of other groups including New Scientist Magazine. The newly developed social media scraping application should be able to collect open source information as well as be able to perform a variety of other functions. Allow for the display of threat information through a variety of methods including mapping and color-coding. According to the requirements outlined by the FBI’s Strategic Information and Operations Center, mapping capabilities should preferably be plotted through Yahoo maps and Google Maps 3D. What does The Application Do Specifically? The timeline for the application request seems slightly ironic with it coming just weeks after the United States Department of Homeland Security released their report analyzing the implications of monitoring social media websites on the privacy of users. The point of the FBI in terms of the privacy of social media sites is that privacy should not be expected. In the case of all of these sites information is provided voluntarily by the user and there does exist the opportunity not to provide information. For those who do provide information there should be no reasonable expectation of privacy when information is approved by the user for public display. What Websites Does The FBI Monitor? One of the biggest questions is which websites the FBI’s Strategic Information and Operations Center monitors through the use of this application. According to what is known about the application, websites that are thought to be monitored by the application include: Flickr, YouTube, and Itstrending, a website designed to show only popularly shared items through Facebook. What Types of Words Does The Application Scrape For? The search function for the new application is designed to target and highlight specific words and terms that are of interest to the FBI. Some of the terms listed under this filtering function include: gangs, leak, small pox, recall and a reference to the hacking focused magazine “2600.” Obviously these are not the only words that are to be highlighted by the application, but they are the only words released to date. What are the Consequences of This New Application? Many people are concerned over what the consequences of this new application could be, particularly groups like Privacy International. Some of the biggest concerns of these groups include just how far the effect of this application will reach. They explain that the purpose of these social media sites is to connect people with other people and as such when one individual is monitored, so too are all of their connections. The concern comes in with just how many people within a single network are going to be monitored. This concern is not only a concern for the privacy of users though, the sheer amount of information that is going to be uncovered through such a large scale program is sure to be overwhelming for law enforcement officers and the FBI. These privacy organizations believe that the overflow of information that may come with the new application may serve to do more damage than good. The FBI says there are more cyber attacks to come similar to the Target data breach in 2013. They are warning retailers that hackers are becoming smarter and quicker with their thievery and are ready to attack. Credit card swiping machines and cash registers may be affected in these attacks and may be the root of how customer’s personal information is stolen. Target alone had over 40 million credit and debit card records stolen and 70 million customers had their personal information taken. The FBI is trying to warn retailers about the dangers of data breaches and the importance of a quality security system implementation.